One of the best ways to relieve oneself after a long day of “conferencing,” is to get out on the dance floor. 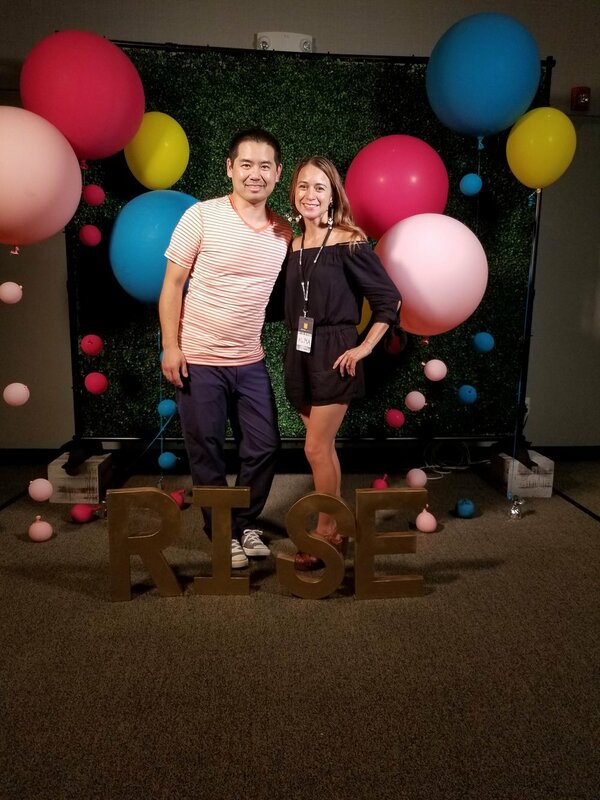 I had the opportunity to DJ the closing party at RISE, A Women’s Event, which took place at Eastlake Church. It was a short session, but filled with non-stop dance hits. Here’s a look at the setlist. I was reunited with an intern of mine. We had not seen each other in more than 10 years! San Diego based yoga and fitness DJ, Justin Kanoya, and yoga teacher, Goldie Graham. After a couple of missed attempts, I finally had the opportunity to DJ an event with yoga teacher extraordinaire, Goldie Graham. It took place at the Starlight La Jolla, a perfect the spot for a perfect afternoon to flow and then enjoy tasty treats and then a couple of hours in and around the pool. Goldie Graham teaches yoga at the Starlight La Jolla during her Retreat Without The Travel event. Weddings are generally the beginning of two lives together. But often times, it is more than just two; and it can be the beginning of a new family life together. Such was the case with Ian and Betsy wedding day, July 20, 2018. There love for one another was equal to that of their own children. It was touching to see how much these two wove together their kids into various parts of the day. From the ceremony, to the grand entrance and all of the dancing, this day was not just for them, but for their amazing family. What a pleasure to be a part of all of that. Here’s a look at their setlist. Who made mixtapes back in the day? But did you ever make a mixtape cake?? This was the perfect touch for Paula’s 80s themed birthday party. Who doesn’t love a themed birthday party? And moreso, who doesn’t love an 80s party? 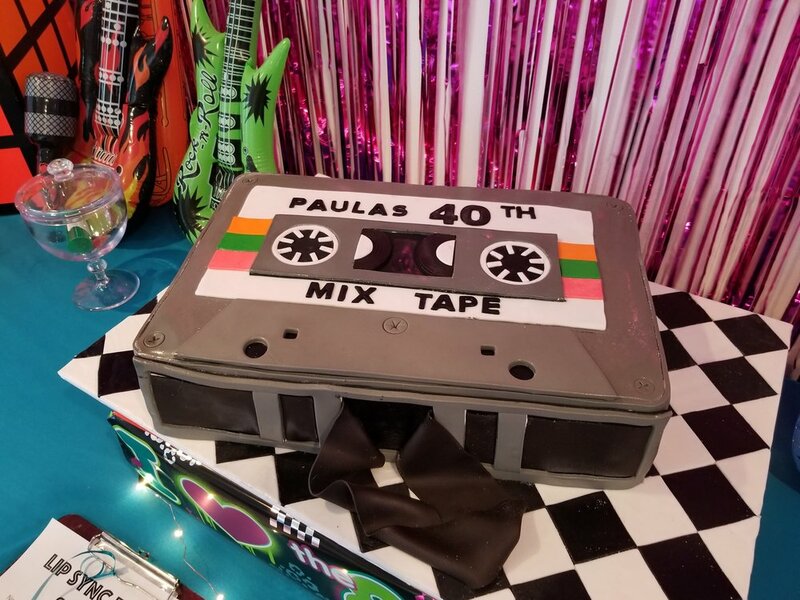 For Paula’s 40th birthday bash, it was all 80s, complete with guests glamed out in their finest spikey hair and loud neon fashions. And of course, there was an all 80s playlist. So take a trip down memory lane, and check out these hits from (yikes), more than 30 years ago! It was a bit of a last minute booking, but what an experience this was. NBC was hosting a private event at San Diego Comic Con, taking place in its “The Good Place” themed booth that was built in the Gaslamp area of downtown San Diego. It was a great dance party with a few Good Place cast members, as well as actors from other NBC shows.